Gaultheria lanceolata is a smallish erect montane shrub with fleshy red, white or pink fruit. It is found on the Central Plateau and is rare. 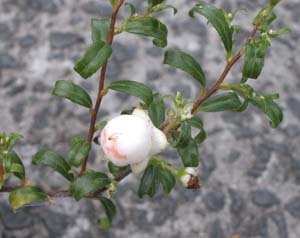 It may be a hybrid between G. tasmanica and G. hispida.